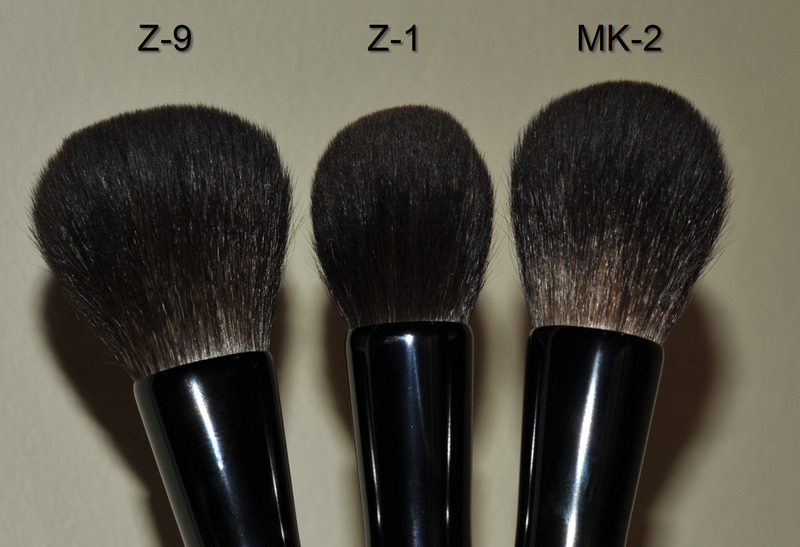 Home Brushes	Chikuhodo Z-1, Z-9 and MK-2 … more pictures ! Chikuhodo Z-1, Z-9 and MK-2 … more pictures ! I first got the Z-1, then the MK-2 and I could not stay away from the Z-9 anymore… I had to get it too. 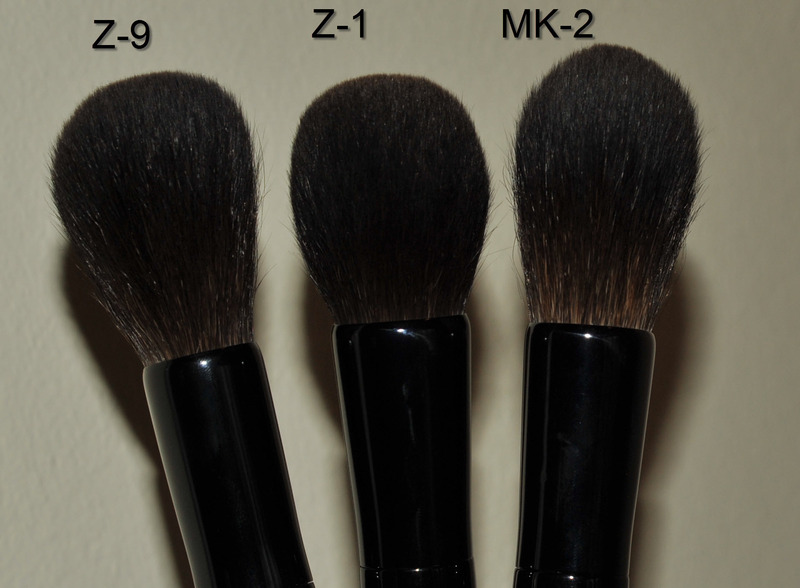 Although the hair quality (grey squirrel) is the same on all these brushes, the shape and density differs. To me, this one is the most unique of the three. Extremely dense and round, simply the most perfect shape. 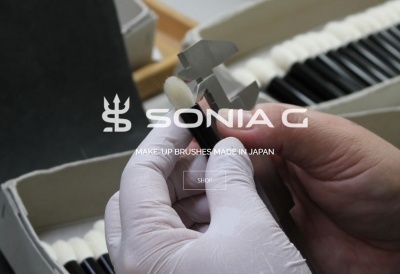 I prefer it to the Suqqu face powder, you can see some pictures with the Suqqu brush side by side here. It will give you control on the application and although it’s quite firm I never had a streaky application. It’s so incredibly well bundled that even if you look closely for flaws, you won’t find any. I use it with powder, bronzer, blush, contour, … but it’s quite big, the surface covers approx 3.5×3.5cm, so just keep that in mind. This brush is less dense than the Z-1. Again, incredibly soft, grey squirrel hair. On one side you will see a Kaga Maki-e decoration, on the other side you will see the Chikuhodo lettering. 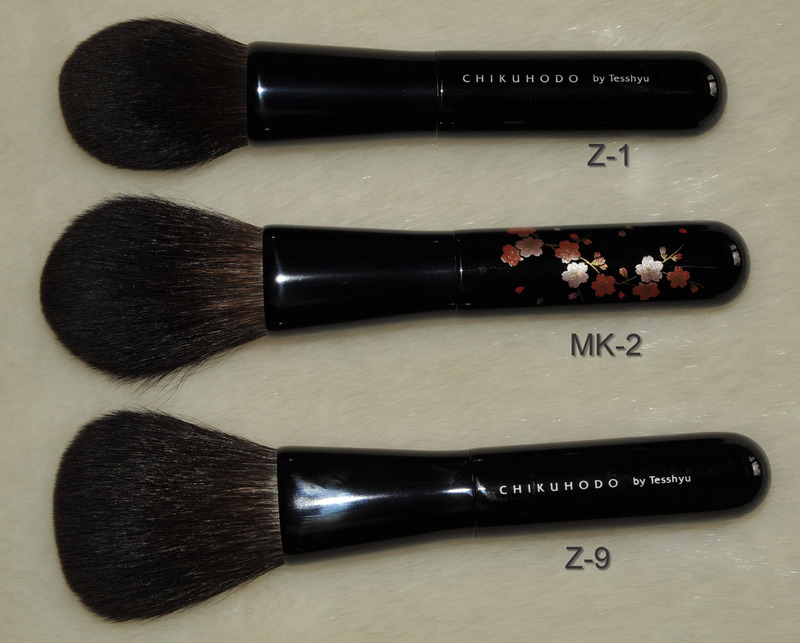 There is also another brush, the same shape but with a different Kaga Maki-e decoration (the MK-1). I love to use this brush for bronzer or powder, the surface it covers is approx 4x3cm but it’s slightly tapered, you will get some precision with the pointy head but it will still deliver a diffused and soft application. This brush is almost totally flat, it covers a huge surface (4x5cm), I absolutely love to use it with big bronzers like the Tom Ford. Not much precision with this brush but perfect for a lovely wash of color all over the face. Of course, I am still loving the Tom Ford bronzer brush, actually I prefer the Tom Ford but I am delighted to have this Z-9 and not disappointed at all. Also grey squirrel, same softness as the other two. It is not as densely packed as the Z-1 but it still has a huge quantity of hair, flexible but with resilience, meaning that the hair will have enough strength and firmness to deliver a proper coverage. Chikuhodo Z-1, Z-9 and MK-2 … more pictures ! was last modified: August 4th, 2013 by Sonia G.
I hope your readers take time to watch the movie about Kaga Maki-e 🙂 The handcraft is sooooooo beautiful. Yes Malin , I just watched it and it made me think about just how frenetic our lives are now , in such contrast to the peace and tranquility of the craftsmen ( do women do this work too , I wonder ?) making such exquisite art . They do, it’s a privilege to use them and the process of applying makeup has never been so relaxing… a real therapy. Thank you for sharing that video Malin! Dena did you get it ? I don’t remember if you did at the end.. Yes I did, and its seriously one of the best brushes I have ever purchased. I just adore it. By the way, I used my J528 for foundation this morning, and its brilliant – flawless! I also love the J528, at first you don’t think it will be so useful but then you end up loving it ! That’s why I love the J Series so much, you’ll get so much versatility with them. Sonia you are killing me :)!!!!!!!! I’m still waffling: Z1, MK2???? How to justify both???? 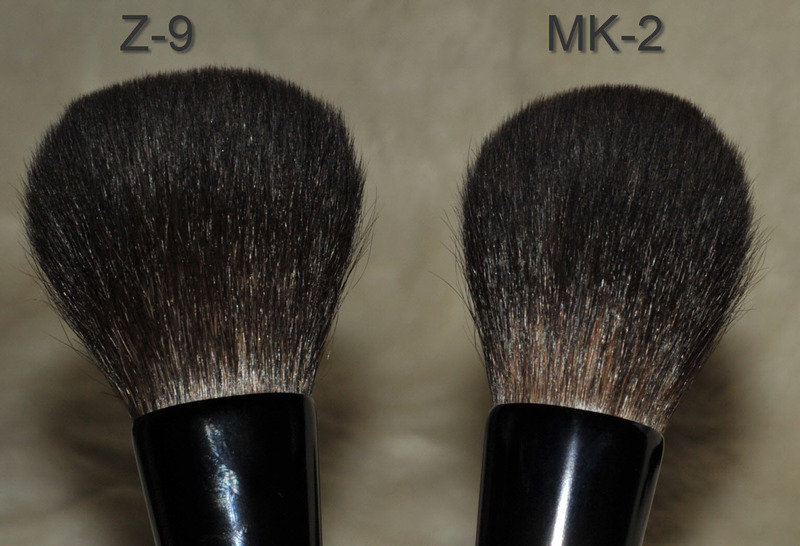 I have a soft spot for round brushes, so the Z1 seems like a no brainer, but the MK2 is sooooo pretty, and I love that it’s slightly tapered and not so dense… I wonder how long I will obsess about these and just give in, lol. oh no, poor Neo, I hope you will get “the one”, but they are both excellent and as I said, you will not regret whichever you choose. The design on the MK2 is so beautiful! I would get that one if I had to choose among these three….just to look at, play with, and admire. When I was younger I sewed all my clothes and before I slept, I would look at pattern books in bed before drifting off to sleep. Now I think of brushes, so pleasant and relaxing! LOL Much better than sheep. 😀 what a great therapy 😛 love that too ! After the launch of your incredible Brush Temple, I realized I had gaps in my collection so read this comparison post again and got the Z1 (and RC2) for myself and the MK2 for my daughter who loves cherry blossoms. I am thrilled as they are fabulous! 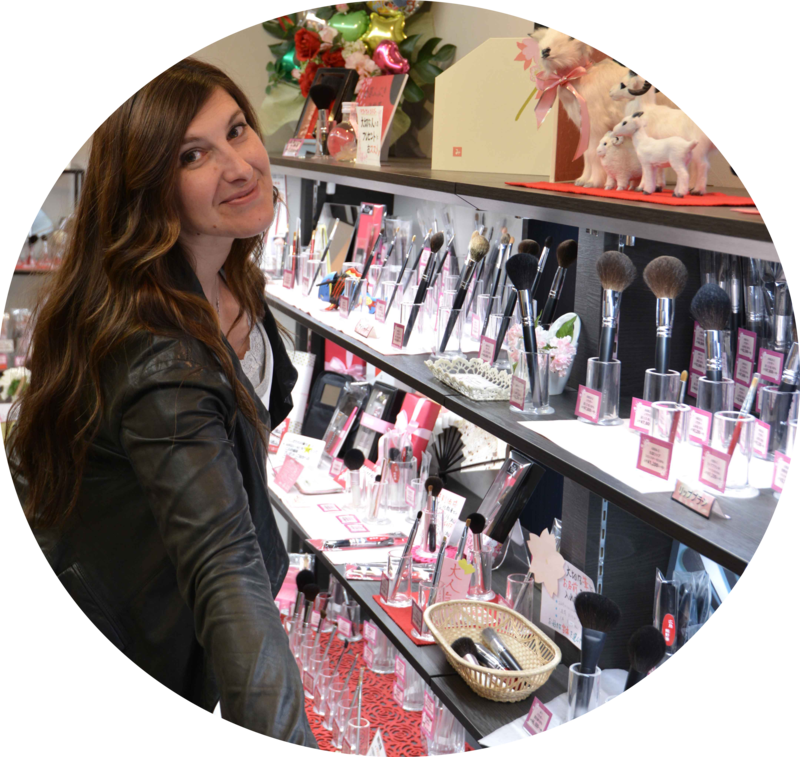 Thank you for your relentless pursuit of the perfect brush 🙂 and for sharing your knowledge with us as your journey continues. I am happy I stumbled upon your site awhile back and even happier to see how amazing your site has become with the addition of the Temple and Forum. And, I do so love how kind you are to everyone who visits. Much love and aloha! fantastic 🙂 it’s quite difficult to be disappointed with these brushes you chose! and I am touched you are still here with me! This is a fantastic post! I have been trying to decide between the Z1 and Z9, I have been leaning towards the Z9… these are fabulous photos, now I can ponder my decision a little more! Thank you! I received my Z4 and 12-6 and they are the softest brushes ever! Thanks to you, I am able to experience such luxury! All my 12 Hakuhodo brushes also arrived and I am so happy with them. Between them and the Radiance brush I hope my collection will be complete for a while at least! Your blog inspired my complete trust in your selections and I could not have done it without you. What a lovely Christmas gift to myself and a merry Christmas to you too! Thank you so much for your in-depth photos of the Chikuhodos. Given how pricey they are, I didn’t want to commit until I was absolutely, 100% certain about every last detail. Your blog definitely helped me decide which ones would be best for my needs. My brushes recently arrived from Kohlindo and they’re every bit as lovely and luxurious as you’d suggested. Cheers and keep up the wonderful work! I love your blog and your advice has helped me obtain so many lovely brushes, thank you so much!! I am having difficulty deciding between the Z-1 and MK-2 to use with the Guerlain Voyage Compact Powder which I use mainly in the t-zone. Which brush would you recommend best to pick-up and place/diffuse this product most efficiently? Many thanks. Erica’s comment on this blog may help you a bit. I was just looking at it before I opened this page, so I thought I’d pass along the information — for what it’s worth.